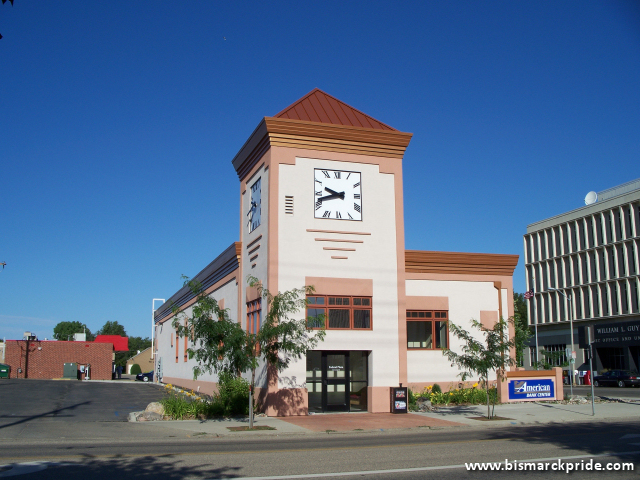 One of several locations for American Bank Center in Bismarck, North Dakota. This building actually housed a restaurant prior to the bank, but appeared much different. The building on the far right is the William Guy Federal Building.